The Holidays are in full swing and when looking back at 2016, spending exceeded $1 trillion, with the average U.S. adult spending $419 on holiday-related items. Early forecast calls for the 2017 holiday season to be even stronger... So what does this mean for you? 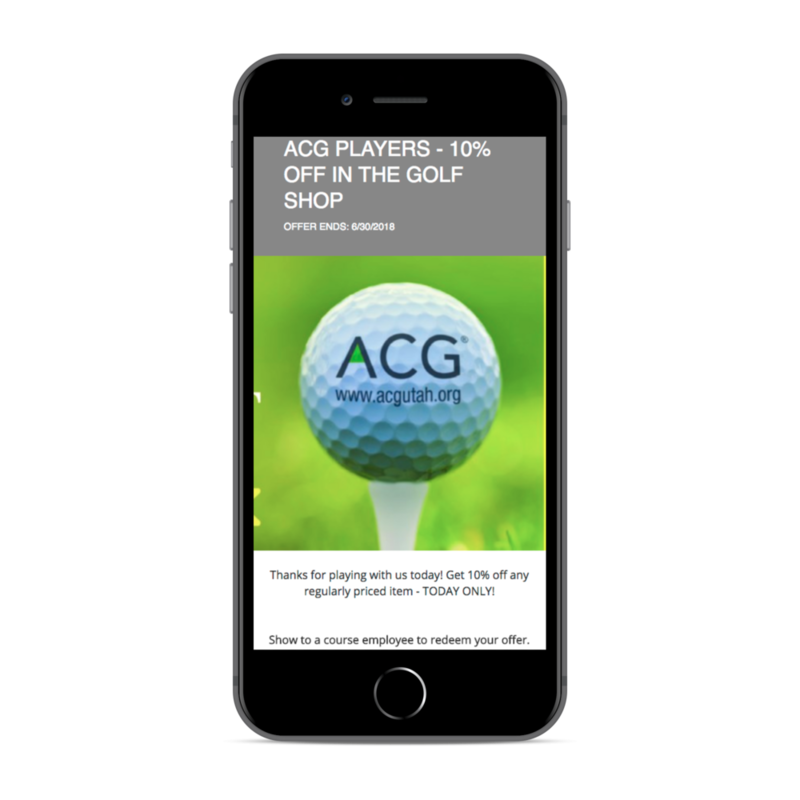 It's time to start marketing your Golf Club specials and memberships! We are here to help you stand out against the competition so your customers keep YOU in mind when crossing off their Holiday Gift List! 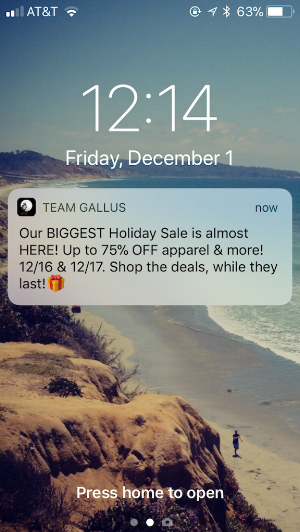 Fortunately, with 76% of Americans using their mobile device for their holiday shopping, you have a good bet of converting in-app messaging to dolla dolla bills, ya'll! Do you have any Holiday golf shop specials or an annual Holiday Sale? Send a Push Message out to your audience to promote your sale. Emphasize the significant discount with terms like "Major markdowns" or "Up to 75% OFF" and a sense of urgency using phrases like, "Limited Supply", "2 Days Only", or "Will SELL OUT!". These examples may not exactly apply to what you are offering, but the key takeaway with a holiday sale message is to highlight the discount and demand for the products being offered. Year after year, more people prefer receiving gift cards for the holidays. In fact, the total gift card volume will reach $160 billion by 2018. That is a BIG piece of holiday-spending pie! But how do we compete with national sport retail stores? Well, we may have to get a little creative. Offer a holiday special when a customer buys a gift card, they receive an additional free item with that purchase. For example when a customer buys a $50 gift card, they get a free $5 gift card or sleeve of golf balls. By adding value to their purchase, you are able to stand out against your competitors and drive incentive to spend. You can make it fun by calling it a "Naughty or Nice Special" - Be nice and give the additional gift to a friend, or naughty and keep for yourself. 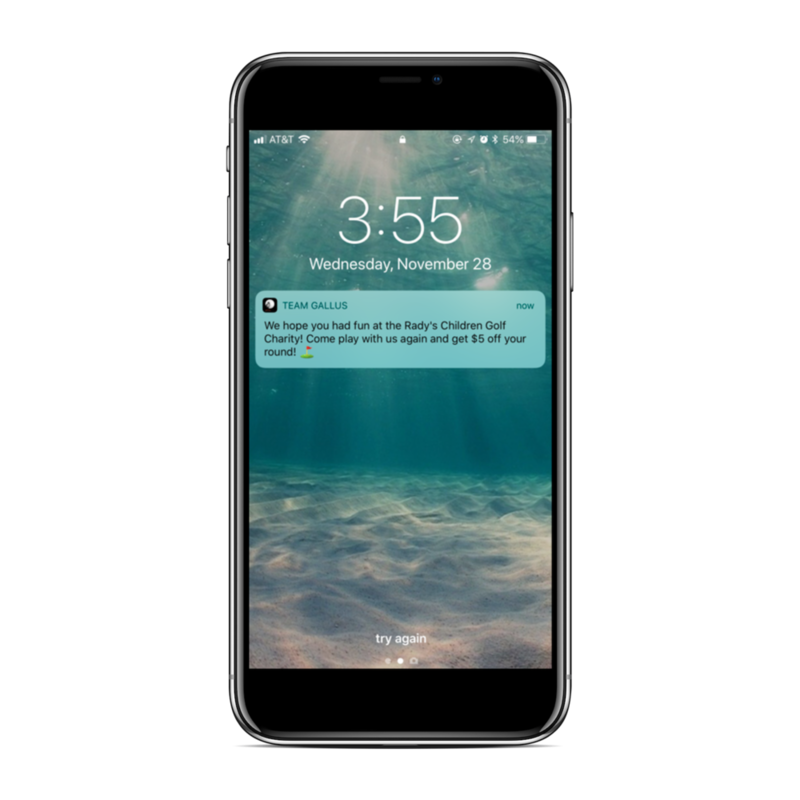 Send this promotion out in a push message linking them right to your Online Store, so they can complete their purchase in 3 clicks, without even having to get up from the couch! Christmas shopping has never been so easy! 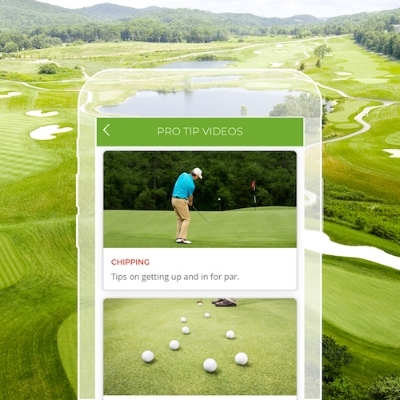 Make shopping at your golf shop or online store fun this holiday season! Send out a push message with a "Secret Santa Code" or phrase your customers can use at the time for payment for a special discount. 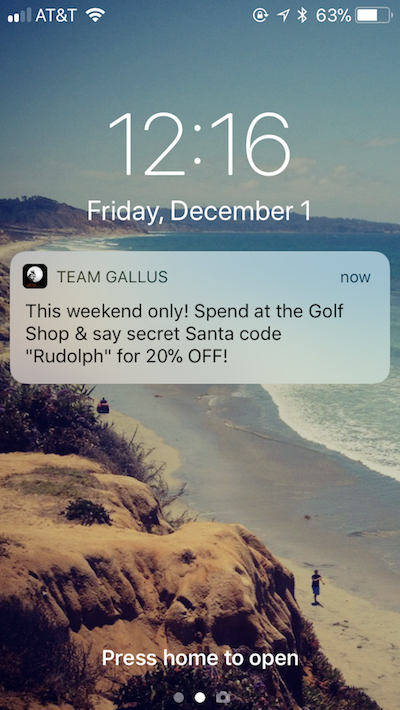 Maybe the message is, "Say 'Rudolf' at your time of payment for 20% off your golf shop purchase" or "Enter code 'MERRY' to get 10% OFF your online purchase", directing them to the Online Store in the push message. One thing to note is to provide an expiration date so there is a sense of urgency to shop and take advantage of the special discount. Create 12 "Daily Deals" and promote them each day using with a push message. These deals and specials can be small and range from anything to "$5 Off Greens Fee" to "Appetizers - Buy One Get One Half Off". When sending out these series of messages, it’s best to be consistent in the time of day the message is sent. We would suggest sending these out in the late morning, as it allows time for customers to redeem these offers the same day. Of course, if 12 days is too long, you can always shorten the length of the campaign to “7 Days of Christmas”. 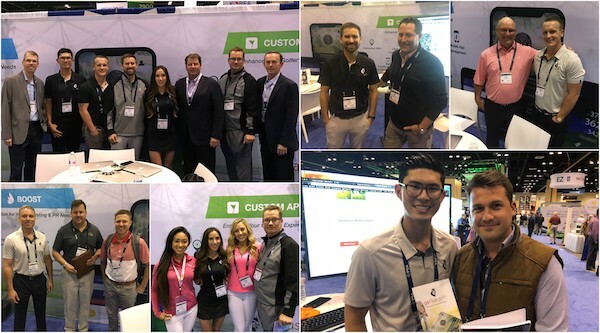 Making it unique to your Golf Club and fun for your customers is the idea here. 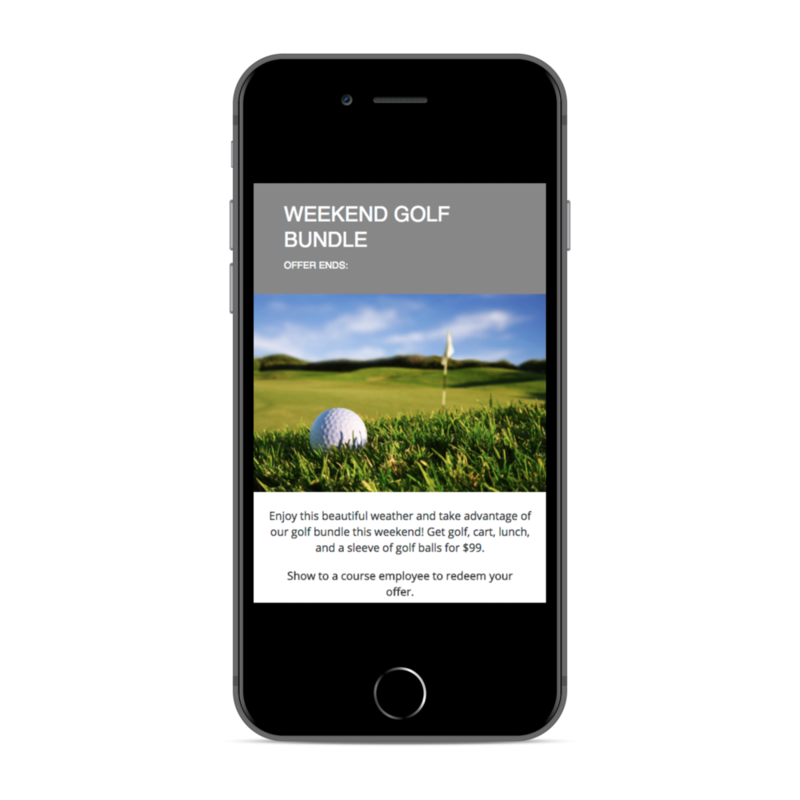 There you have it, four ideas that your Golf Club can use to promote your holiday specials directly to your customers. 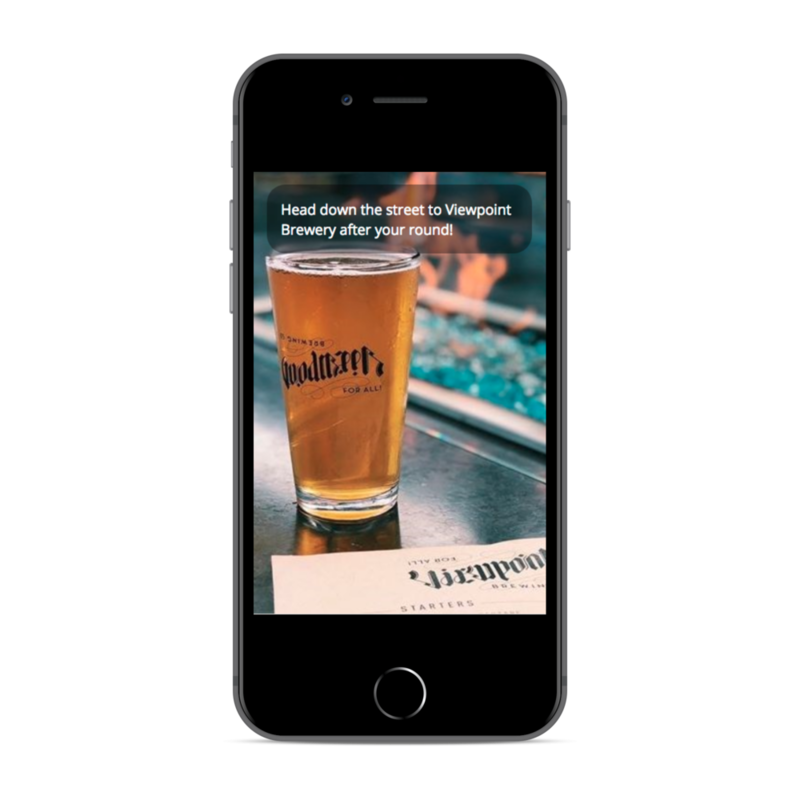 In addition to in-app messaging, be sure to advertise any holiday specials on social media and email. 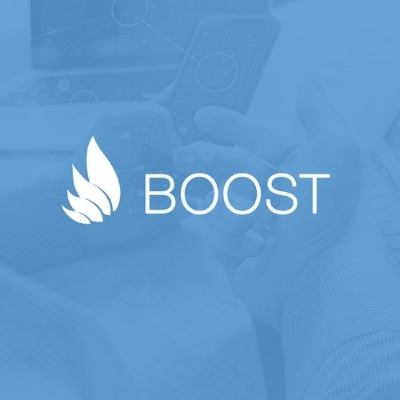 If you need marketing help or would like to learn about our BOOST Marketing Program, please reach out to Molly Jasco. She is our BOOST Client Success Manager and handles the marketing strategy for many of our golf course clients. If you need any assistance in setting up a message, please reach out to your Account Manager. We are happy to help and wish you a VERY MERRY HOLIDAY SEASON! Do your users know all they have with your app? This week we are going to share some ideas to increase your users' engagement with your app. 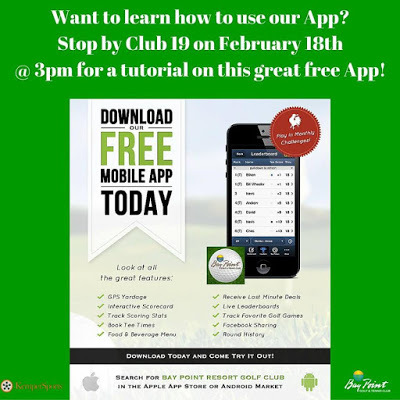 If your user base or client base is too large to host the event at your club, make this tutorial a webinar where your users are in the comfort of their homes with app in hand while watching the webinar on their computers. From where we sit right now with our 600+ golf courses we work with, it is an interesting time of year. So many of you are looking into your last 6-8 weeks of your season, while the rest of you are prepping for your season to begin. Either way, downloads are key, and NOW is the best time to have as many as you can get. 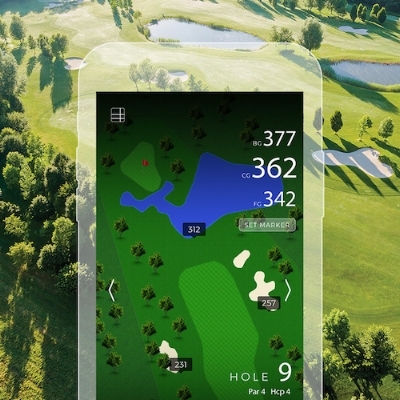 If you are heading out of season, it keeps you connected to your golfers during your down time. If you are heading into season, it helps you build a stronger year. It's new. It's LIVE on your dashboard. It's Simple. It's going to be huge for you! 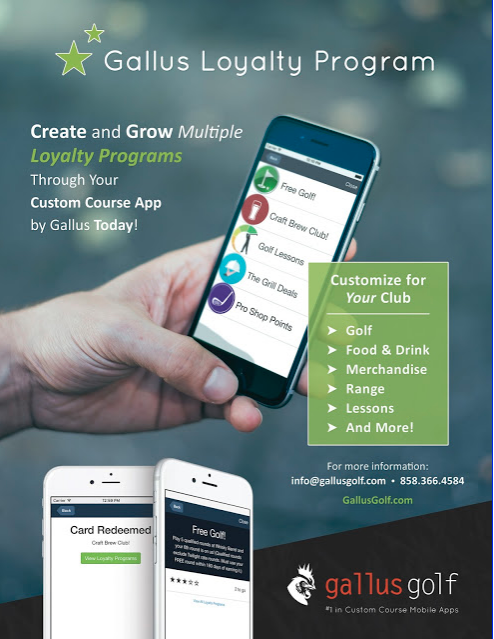 Introducing YOUR OWN, Custom, Branded Loyalty/Rewards Program. 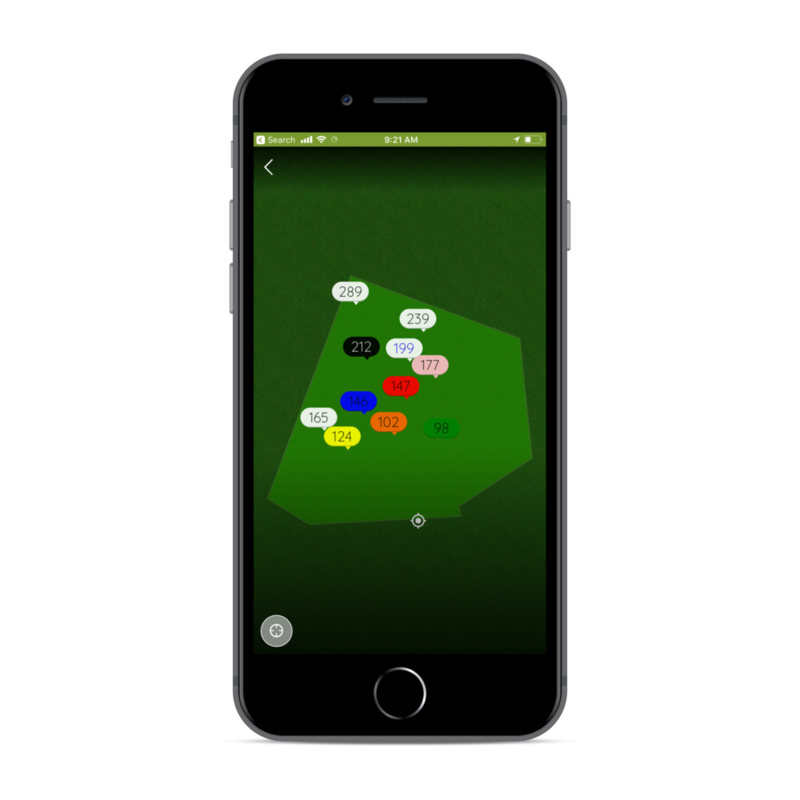 NOW FROM GALLUS -- Included in Your Apps....Loyalty/Rewards !!! Reach out to help get this set up in your apps now! Any of you who have been following me know, user engagement is a hot topic with me. I wake up in the middle of the night thinking about ways to increase your users' activity with your apps. This week I am sharing one of those middle of the night ideas. Please let me know if you need any help setting this up in your app. THE CONCEPT: My example is a Trivia game, but you could do this, or a Scavenger Hunt, or really any kind of game that requires a response from your users. THE PATH: First, build a Google Form for Each question/clue you want to put forth. Finally, Review your responses and notify your winners! What's to gain by doing this? For our clients a change of seasons is occurring right now. Many of you are entering your busy time of the year, and many are exiting. Either way, now is a great time to refine or add segments for your audience for push notifications. 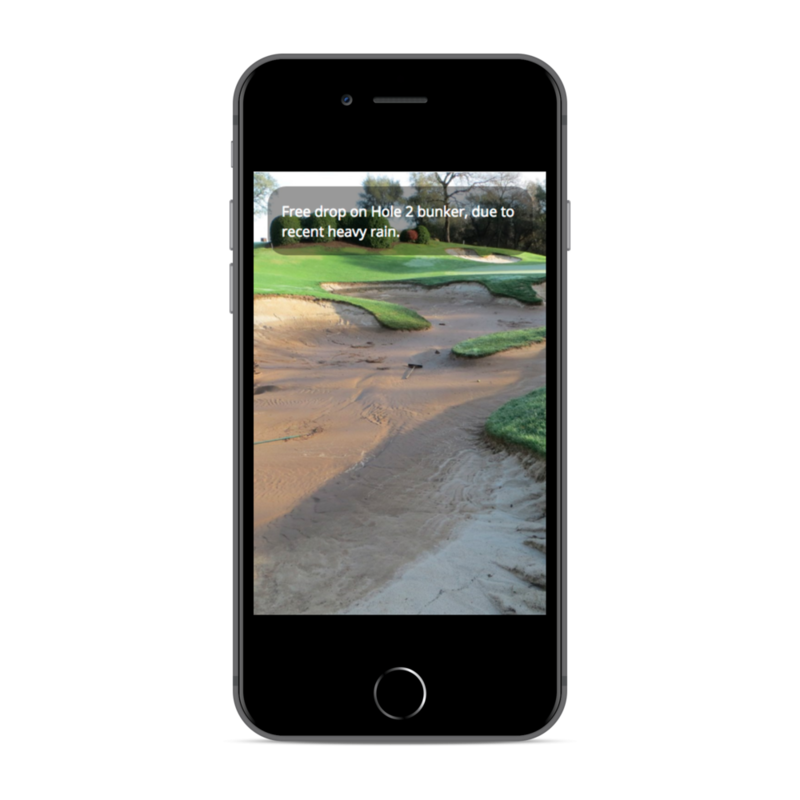 If they already have your app, the next time it is opened it will prompt them to answer your new segment set up in a couple easy steps. If they are downloading your app for the first time, the app will take them through these steps upon their first open. Birth Month, with each of the 12 months as an option. Wish these customers of yours a Happy Birthday during their month. Possibly even offer a corresponding special offer to them. When You Play, with your options being Weekday, Weekend, Morning, Afternoon, etc. Custom ID's like these will allow you to target your audience, matching it to specific offers. When building a Custom ID, this is exactly what you should have in mind. Sometimes to move forward it is important to take a moment to reflect on where we have been and the trends we have been following. One of the biggest Key Performance Indicators that I keep pointing to is user engagement. When I refer to user engagement, I am talking about how much time and how active the people who have downloaded your app are with it. The stronger the engagement is, the stronger your marketing messages and relationship with your users become. Communication -- Push notifications are an absolute must. We have found that our apps with the highest level of user engagement are also the ones that are sending on average at least 4-6 push notifications per month. Growth -- Continuing to grow your user base is a never ending task. Resting at a certain number of downloads is a huge mistake. It should be a goal of yours to see a consistent level of growth in your download number, and continuing to keep that top of mind for your staff when communicating with your clients, keeping your download collateral visible online and in social media, and promoting the app at least once a month in some format are all keys to growth. This report is based on apps in general around the world. It details a comparison between 2014 and 2015 for user engagement. Notice that the number of times the app was launched increased in 2015 over 2014, but also that the average amount of time spent in the app increased from 5.7 minutes to 6.02 minutes. This is telling us that, in general, people are using and engaged with apps much more now than they have been previously. So, I wanted to see how you are all doing with your apps by comparison to apps in general worldwide. We made a big push in 2015 to work with you to raise the level of engagement, and while I am sorry to say in 2014 we were behind general app averages for engagement, I am thrilled to say we SMASHED these general numbers in 2015. So, while apps in general in 2014 were seeing an average session time of 5.7 minutes and were ahead of us, YOUR hard work and dedication to growing your apps in 2015 paid huge dividends and we are over 67% ahead of apps in general in engagement for 2015 with a 10 minutes and 20 seconds average session versus 6.02 minutes for apps as a whole. NICE WORK!!! So, what do I want you all to take from this? We operate here from a level of positive dissatisfaction, meaning we can be happy about this current success, but never content with where we are currently at, always wanting to improve. My challenge to you for the balance of 2016 is to continue the phenomenal growth. Increase your engagement because the efforts you made last year are showing benefits. It is time to ride that wave. How do you do it??? See the points above: Content, Communication, and Growth. AND, continue to lean on us even more. We are thrilled with these numbers and want to do all we can to continue to help you. If you haven't lately, REACH OUT TO US NOW, to help you with a strategy and action plan for this year, and let's get to work.